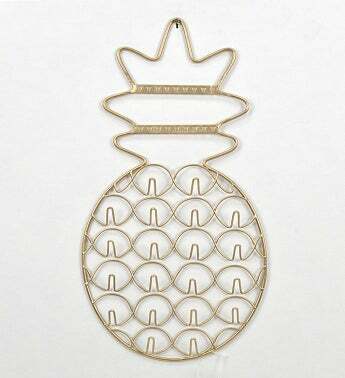 Nothing says home décor like a cute pineapple piece! Wired in gold metal, this jewelry holder makes the perfect wall décor. It holds all your favorite jewelry pieces and conserves space, without you ever having to worry about untangling your necklaces! 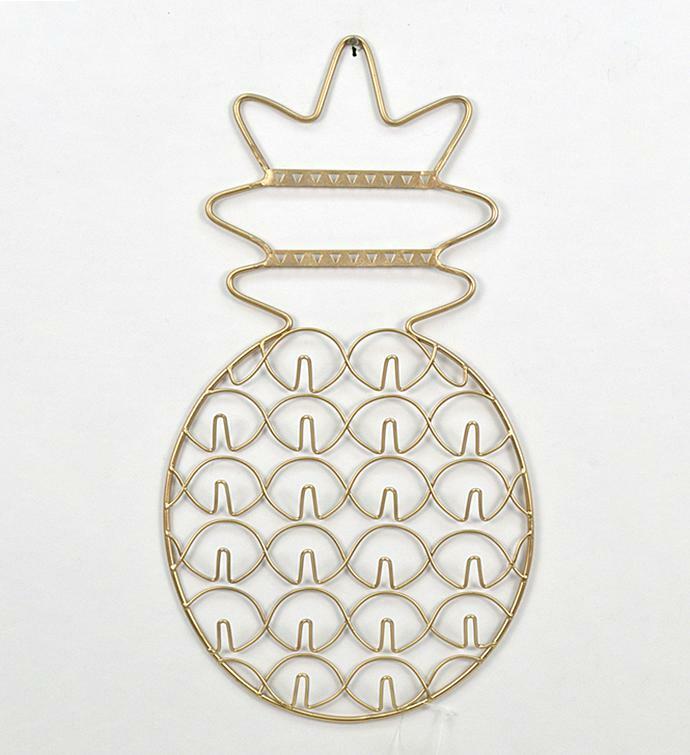 Nothing says home décor like a cute pineapple piece! Wired in gold metal, this jewelry holder makes the perfect wall décor.